EXCLUSIVE! Greg Universe Special Coming from Boom! Home » PREVIEWS » EXCLUSIVE! Greg Universe Special Coming from Boom! 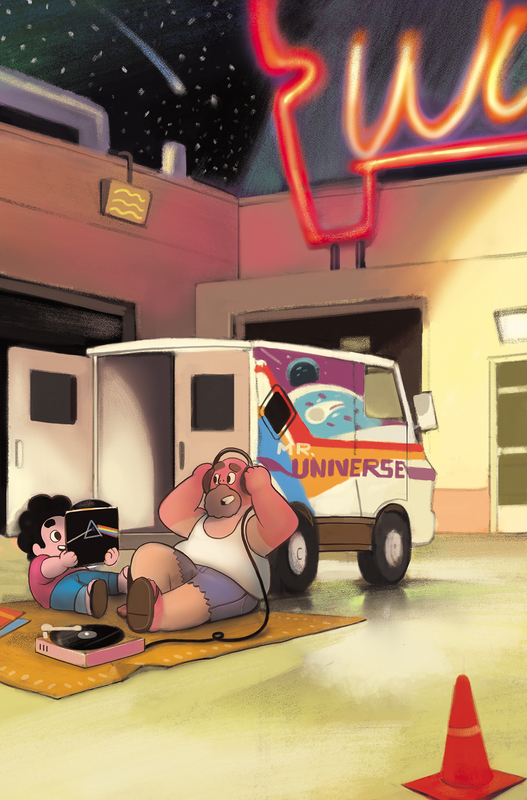 Steven Universe‘s old man gets the spotlight in April, with a one-shot from Boom! Studios‘ all-ages imprint KaBOOM! — the Steven Universe: Greg Universe Special. The comic’s based on the endearing Cartoon Network show, natch. 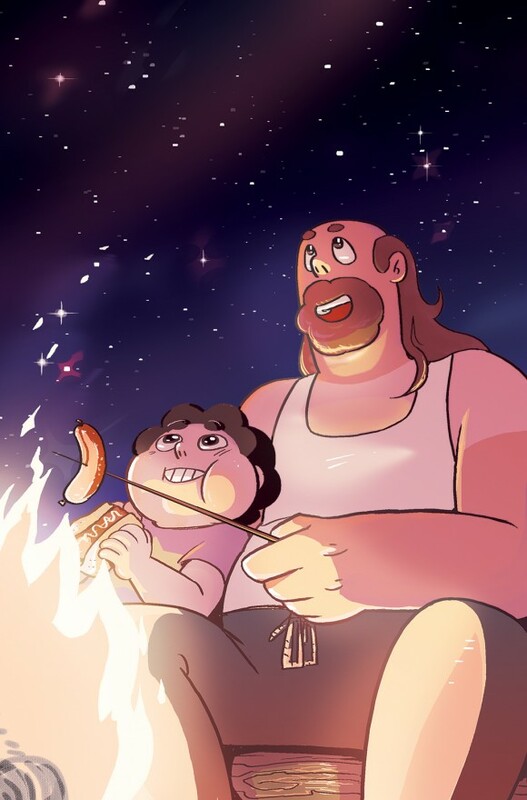 What’s to Love: There’s a lot of heart in Rebecca Sugar’s Steven Universe, and a big part of that comes from the relationship between Steven and his dad, Greg. We’ve gathered some top indie talent for a collection of Greg-centric shorts that are sure to warm your heart. What It Is: Steven Universe and the rest of the Crystal Gems are bonafide heroes, saving Beach City day after day. But you know who else is a hero? Greg Universe! Steven’s dad might not have Crystal Gem powers, but he’s a valuable member of the team, too! This oversized collection of shorts features father-and-son fun, as Greg teaches Steven some valuable life lessons. Fans can order a copy through their local comic shop starting on Jan. 28. Orders close on April 6. The issue is on sale April 29.